Picture of Volvo S60 sets record on eBay. 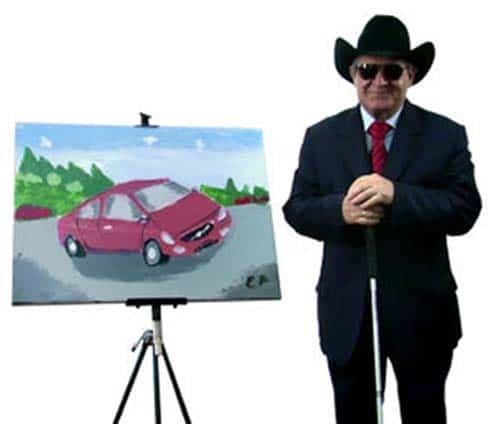 Blind Turkish artist Esref Armagan's impression of the 2011 Volvo S60 set a record when it was auctioned on eBay. The painting of the new 2011 Volvo S60 might not have been the most precise in its details, but it’s easy to appreciate the feeling Turkish artist Esref Armagan’s put into the work, especially when one considers that he’s blind. Created as a collaboration to aid the charity, the World Blind Union, Armagan and Volvo auctioned the painting off on eBay, as TheDetroitBureau.com first reported, earlier this month. In all, 52 bids were placed and the winner will get Armagan’s work for $3050, the highest figure ever paid for an art piece sold on the auction site to benefit charity. “I’m really impressed with the artist, and with the video, which we couldn’t stop watching. I figured it would be good for a dealer to have it, and as long as it was a dealer, I thought it might as well be me,” says Rachel Léonard, General Director of Volvo de Quebéc. Armagan was the first outsider invited into Volvo’s Swedish styling studios to examine the S60. The car won’t make its public debut until the upcoming Geneva Motor Show. 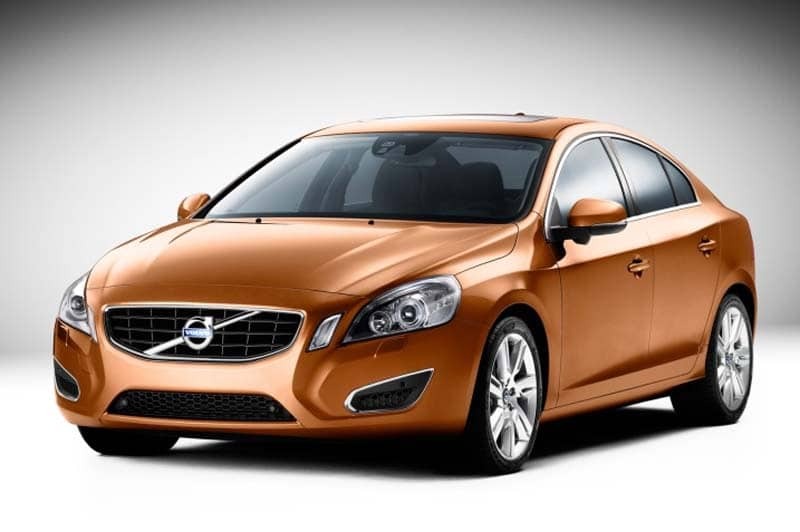 The 2011 Volvo S60 won't make its formal debut until the upcoming Geneva Motor Show. The Turkish artist has built a wide following – as well as the interest of researchers – for his ability to capture perspective, color and form despite being blind from birth. The 56-year-old Armagan grew up in an impoverished family and has no formal training, but has taught himself not only to paint but also to write. Armagan first draws an outline using a special Braille stylist. Working in absolute silence, he then uses his fingers to apply mostly primary oil paint colors. Because he has no assistants, Armagan avoids smearing the paint by waiting several days between each color. He has also developed a technique for doing portraits, asking a sighted person to draw around the details in a picture. He flips the image over, using his left hand to feel the faint tracings, while he begins to paint with his right hand. Armagan has been studied numerous times, including by experts from Harvard University and the Hebrew University in Jerusalem, researchers hoping to better understand the plasticity of the brain. “We were thrilled that the Volvo Blind Preview art piece sold as well as it did. This is the highest price we have ever sold an art piece for on eBay for the benefit of a charity. We believe its success was due to the uniqueness of the piece and also the fact that the bidders knew the World Blind Union stood to benefit,” says Eric Gazin, President of Auction Cause, the company that organized the auction on behalf of Volvo.